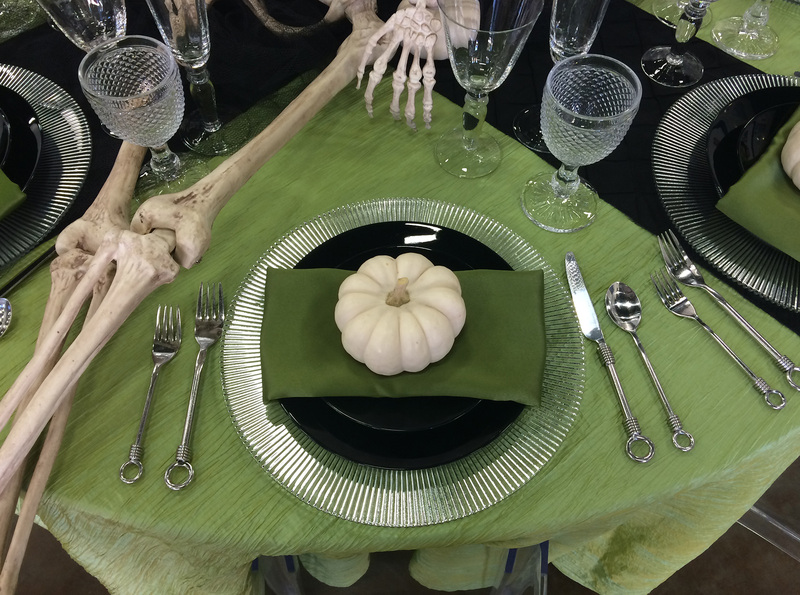 Invite your friends over for a Halloween dinner and show them what you do with uninvited guests! 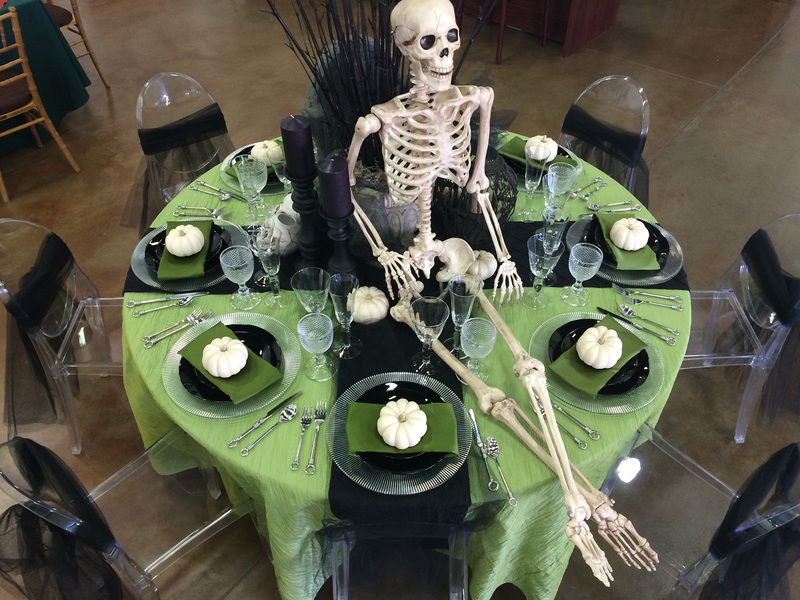 This table design features a full sized skeleton and other spooky decor as a focal point. The color palette stays in a fairly monotone scheme with green accents for a sharp elegant look. 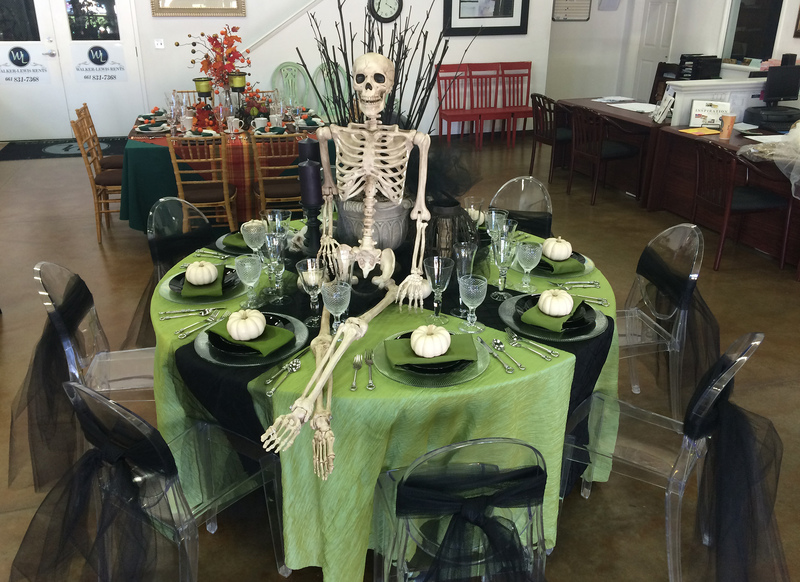 Dress up your Halloween design with black tulle detailing on chairs and other furniture. Add mini pumpkins make an inexpensive accent with a big impact!